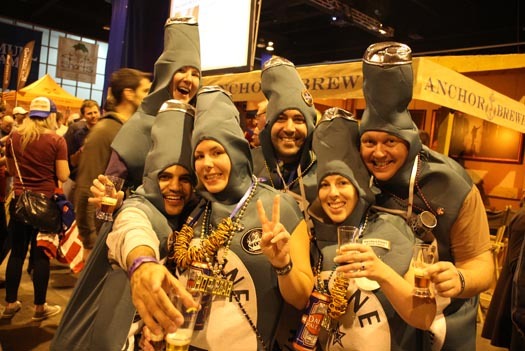 The lively crowd at Friday’s session of the Great American Beer Festival showed up thirsty. 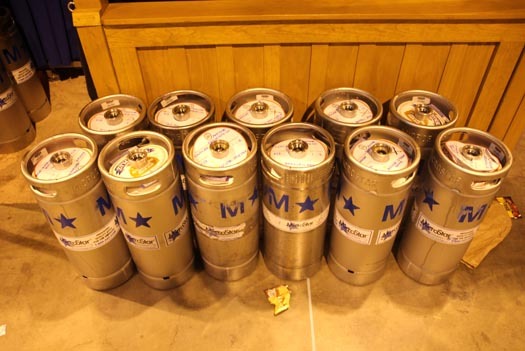 We poured through eleven kegs of Anchor brews – from Anchor Steam to Zymaster No. 5. Yes, you read that correctly. 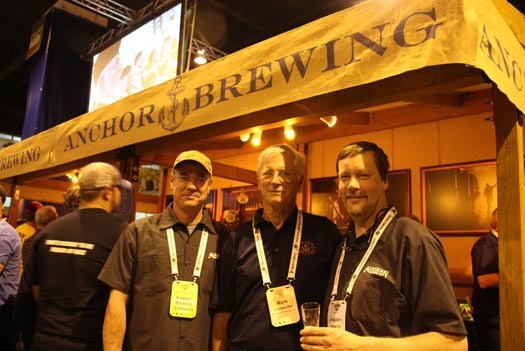 If you stopped by the Anchor booth at GABF yesterday, you had a chance to try a special preview of the fifth beer in our Zymaster Series, Harvest One American Pale Ale. 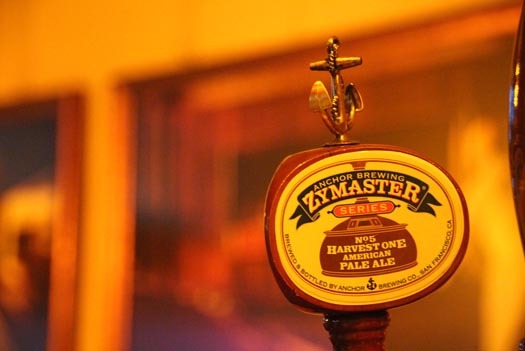 Stay tuned for more information on the latest Zymaster release coming soon. Plenty of familiar faces stopped in to say hello, and new friends came by to introduce themselves. The camaraderie and conversation are always a great part of GABF. 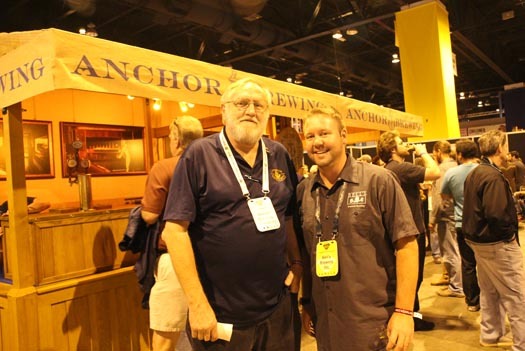 Bob Brewer with Jason Toothman of Bell’s Brewing. Jason couldn’t confirm whether or not Elvis *really* lived in Kalamazoo at one point. 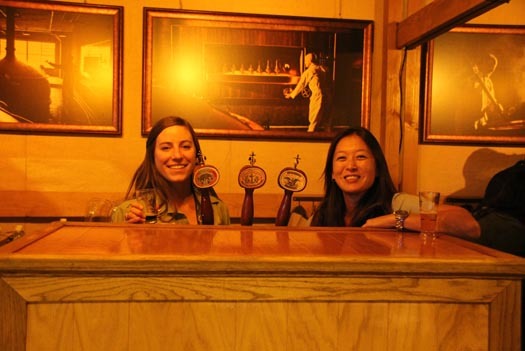 We all know that beer brings people together, but we liked this story. Corey and Sara from Minneapolis (right) were in San Francisco to celebrate their 10th anniversary last year. While in SF, they visited us on Potrero Hill for a brewery tour and met Tom and Amanda from Denver (left). The two couples ended up having a great time enjoying our City by the Bay together and stayed in touch. 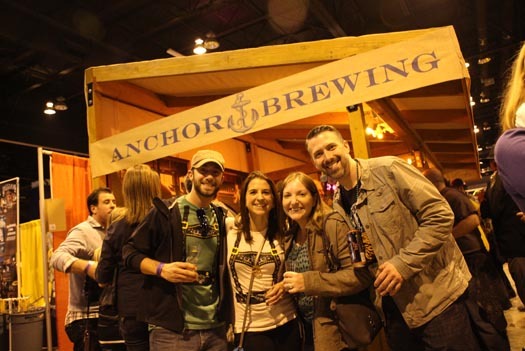 When GABF presented itself on the horizon, it was a no-brainer to meet up in downtown Denver to renew acquaintances and raise an Anchor to good times. Cheers! 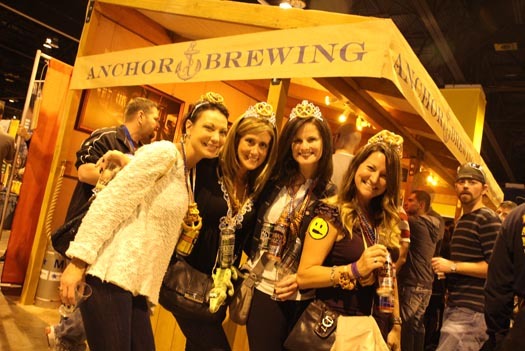 Friday evening at #GABF tends to step up a level on the fun dial, and this year was not different. We’re off and running with the members session this afternoon, and are looking forward to the final session of another amazing GABF this evening. 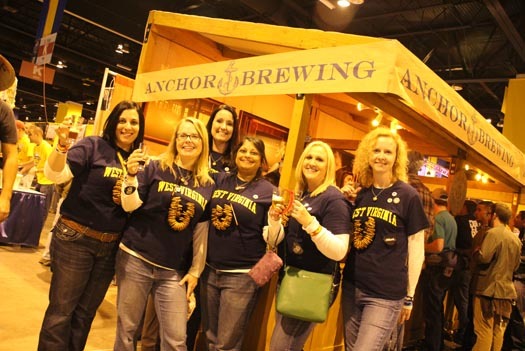 Teagan (left), Belle (right), and the rest of the crew will be ready to pour you an Anchor brew. Here’s what’s on tap for Session 4. See you tonight!